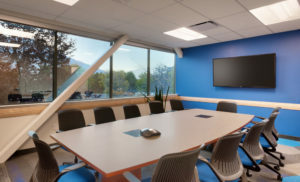 When it comes to remodeling the Intermountain Healthcare East Bay—West Office building in Provo, the “light” in this project refers to well-lit spaces rather than the ease of the project. The objective for Jonathan Johnson and the CMA healthcare team was straightforward: designing natural light throughout the office space. But Jonathan and the rest of the CMA healthcare team knew the challenge was well within their wheelhouse. The floor plan was rearranged to position enclosed wall spaces along just one of the exterior walls. 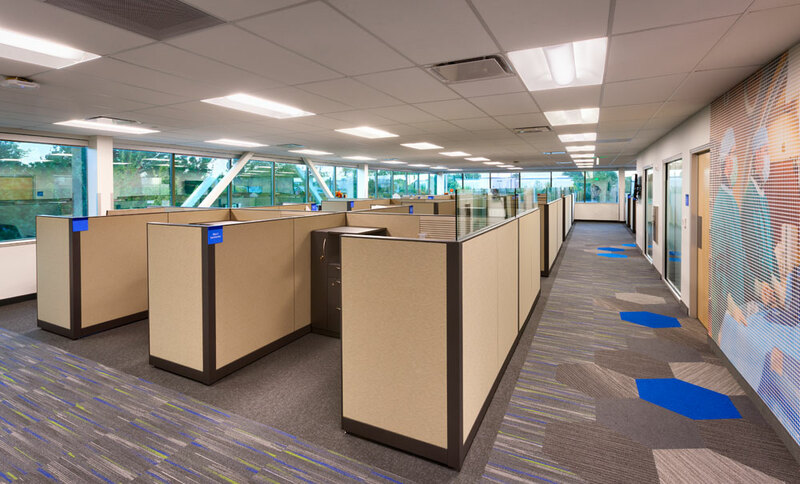 This allowed the positioning of cubicles along the remaining three exterior walls and allows the natural light to extend well into the open cubicle space. Door sidelights were added to the offices and interior support rooms to allow natural light to filter through. A similar tactic was used to bring natural light into the interior-positioned enclosed break rooms. With owner feedback and multiple iterations, the project ultimately netted cubicles for future growth, provided all the requested support spaces, and delivered the promise of increasing the daylight in the building. 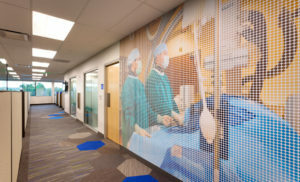 Intermountain Healthcare’s East Bay building is fully ready for the company’s growth as well as a nice share of the sun’s rays.